An “APU” (Auxiliary Power Unit) is a “small” turbine engine installed to provide supplementary power. 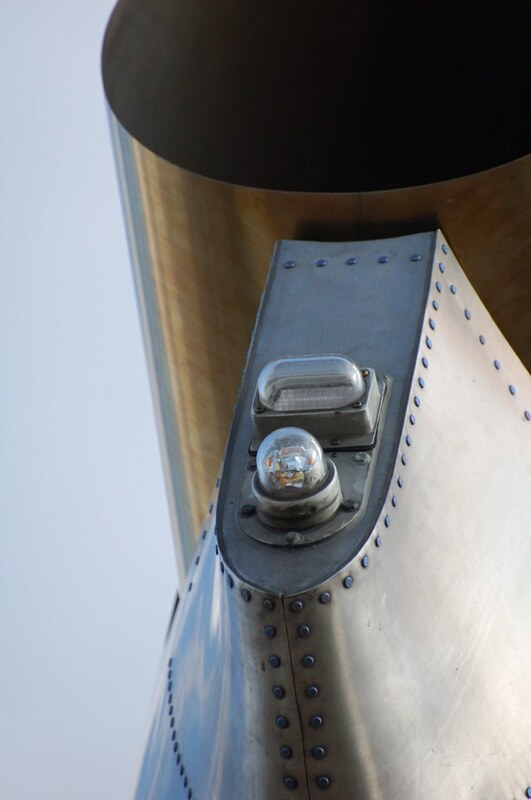 APU’s are often found in the tails of aircraft ranging from larger turboprops to jets. They serve a number of useful purposes. APU’s are installed with dedicated generators, allowing them to provide auxiliary electrical power, in addition to that provided by aircraft engines. This is valuable for running aircraft systems on the ground at facilities where no ground electrical power is available, without powering up the engines. Applications include powering environmental systems, such as air conditioning, supporting maintenance of major electrical systems, and providing power for crew functions such as preflight, cabin cleanup, and galley (kitchen) operation. APU’s on many (but not all) aircraft may be operated in flight, providing backup power for engine generators. 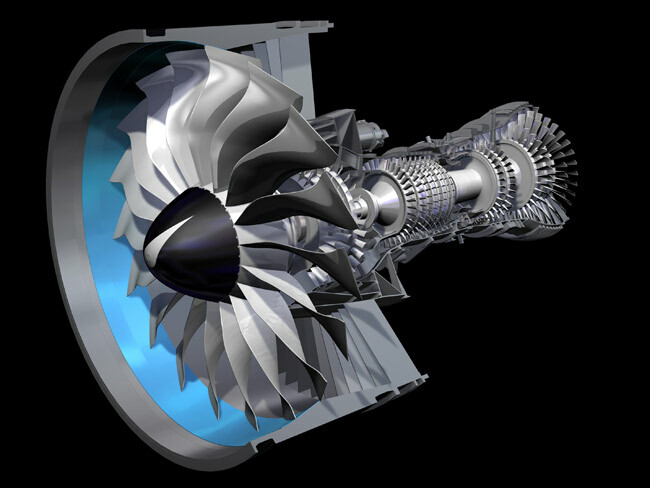 For starting a large aircraft’s main engines, the small APU turbine engine is first started using an electric motor. Once up and running, APU bleed air is routed to pneumatic starters on the plane’s main engines. Those, in turn, spin up the engine compressors for starting. Along with starting the main engines, APU’s on many aircraft can provide backup pneumatic power for pressurization in flight, and to back up environmental systems on the ground and in the air. APUs are generally used to provide cabin air on the ground, pneumatic pressure for engine starts and primary or back-up electrical power for environmental, cockpit and hydraulic systems. They use the same fuel as the aircraft’s engines and generally account for about 2% of the total fuel burn on a given mission. Market leader Honeywell, whose APUs are standard on all Boeing 737NG models and have been selected as an option on 60% of Airbus A320s, is readying its most advanced APUs to date for the new Comac 919 single-aisle jet and the Airbus A350. Both APUs are derivatives of the company’s popular 131-9 model, which is also on tap for the new Bombardier CSeries narrowbody line. A near-term technology focus for Honeywell has been extending the life of the gas turbine wheels in the APU by moving to a one-piece turbine wheel rather than a hub with replaceable blades. Both Honeywell and Hamilton Sundstrand use a single-spool engine architecture with a single-stage centrifugal compressor, combustors and two-stage high-pressure turbine. 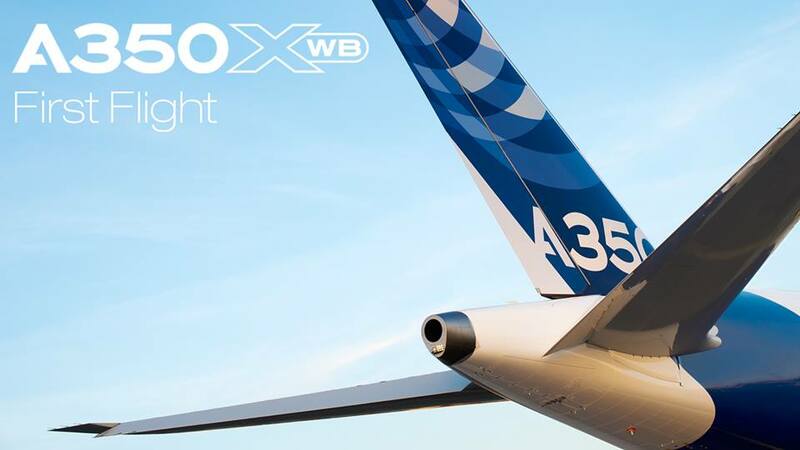 Overall pressure ratio is approximately 11:1 with peak temperatures in the neighbourhood of 2,000°F (1,090°C) for Honeywell’s Airbus A350 design. The spool also drives an electrical generator and a compressor for pneumatic air flow to the aircraft’s environmental control system and engine start system. The 131-9 typically drives a 90kV or 120kV generator and provides up to 168lb/min (76kg/min) pneumatic pressure, says Steven Chung, vice-president for marketing and product management for the APU line at Honeywell. Chung says the company has shipped more than 6,000 131-9 series APUs since 1991, when it was first developed for the McDonnell Douglas MD90. Hamilton Sundstrand introduce its first variable speed APU for the Boeing 787 Dreamliner in the model APS5000 and drives 2 225kV electric generators and does not supply bleed air. The APU is inside a fire proof compartment shielded with an acoustic isolation material to reduce noise. The thin pipe in the left is the fuel supply and the bigger pipe is the bleed air supply for engine start up. The Boeing 737NG APU has an air inlet over the exhaust pipe, for cooling the Apu and reduce 12dB the noise generated . 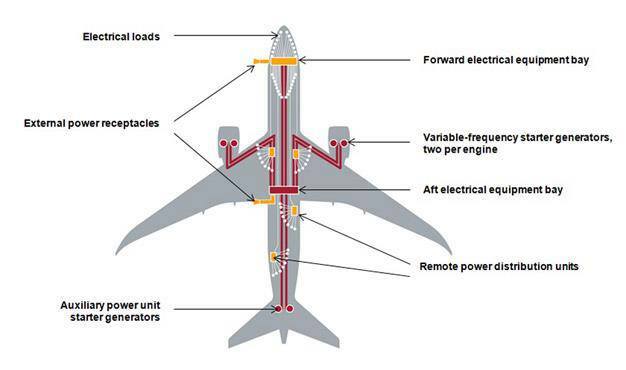 The mechanical energy of the two engines is the primary source of routine electrical power and hydraulic pressure for the aircraft flight control systems. The aircraft also has an auxiliary power unit (APU), which can provide backup electrical power for the aircraft, including its electrically powered hydraulic pumps.